I have just installed XCode and GitHub for Mac. I have successfully run "GitHub->Install Command Line Utility". I can connect to repositories with both apps and I can use the git command in the terminal. 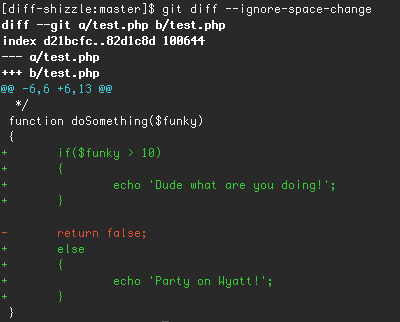 However the git command does not use any colors (as I am used to just like in the below screenshot). What can I do to get colors (preferably directly in OSX termianl, but an extra console would do too). The global configuration is saved to ~/.gitconfig, which you can also edit directly with a text editor. Refer to the manual of git-config for more options. Not the answer you're looking for? Browse other questions tagged macos terminal git or ask your own question. Anyone know how can I turn my Mac terminal into this? How do I install git 1.8.3 on mac OSX?